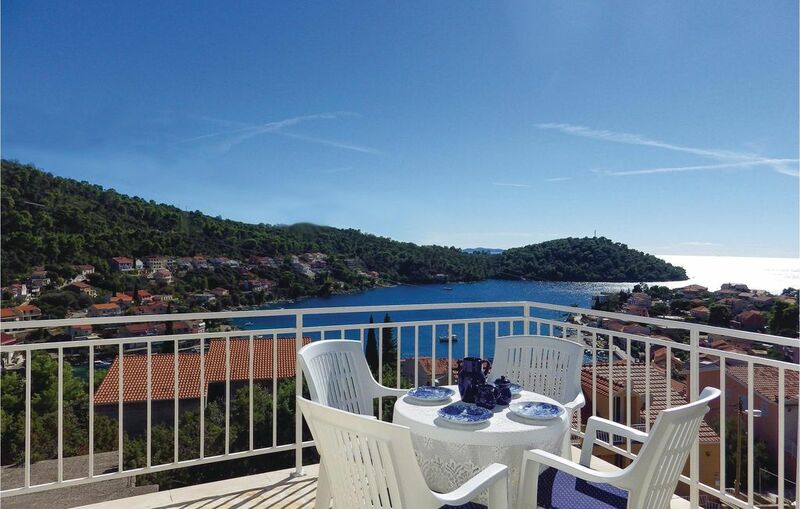 Beautiful holiday apartment in a family house is located at the top of Brna bay, which offers an enchanting panoramic sea view. The apartment is spacious and well-equipped and it extends through two bedrooms, two bathrooms and a living room with a kitchen, from where you can go to the terrace. In Brna there are several local restaurants and bars, while the first sandy beach, suitable for children, is only about 300 m from the property. During the summer months, fishermen evenings are held with traditional local specialties and superb wines, because the place is famous for the Posip wine.